A romantic, candle-lit evening at home is a relaxing alternative to braving the Valentine’s Day restaurant crowds in Austin. 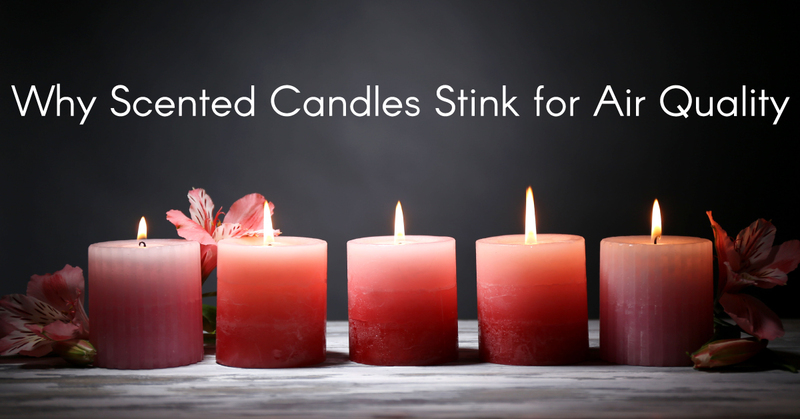 But before you start lovingly selecting candles for the occasion, consider the fact that they may leave you and your date sitting in a cloud of toxic pollutants. We’re not in the dating business, but we are in the business of air conditioning and indoor air quality, and that doesn’t sound very romantic to us. Let us explain. When you light a scented candle, its chemical ingredients are released into the air. While you are enjoying the aroma and soft glow, they are filling your home with volatile organic compounds (VOCs) and fine particulate matter. A recent study found that the more scented products that were used in a home, the higher the levels of formaldehyde. 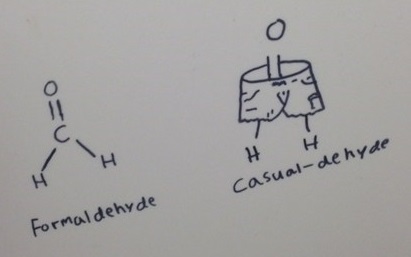 What’s the big deal about formaldehyde? Unfortunately, it’s usually not just the scents added to the wax that are a problem – it’s the wax itself. Most candles on the market are made of paraffin, which is refined from crude oil. In one study, researchers burned unscented paraffin candles in small containers and then analyzed the air inside the containers. They found toluene and benzene, both of which are natural components of crude oil. Based on human and animal studies, benzene has been classified as a carcinogen by a number of organizations, including the Environmental Protection Agency, the NTP and the IARC.5 Though toulene is not classified as a carcinogen, it is toxic to both the respiratory and central nervous systems, and OSHA has set exposure limits for it in workplaces. 6, 7 But only we can regulate exposure to it in our own homes. Fear not, Austinites. Hope for your candle-lit evening is not lost. Consider setting the mood instead with 100% beeswax candles. Beeswax Co., which opened in Texas in 1997, makes candles from 100% beeswax that they source exclusively from Texas beekeepers. Because beeswax is naturally occurring and the company does not chemically process or alter it, it burns cleaner than paraffin wax. “Burning a paraffin candle in your house is like putting exhaust in your air,” said Christine Flores, the operations manager of Beeswax Co. Her family, coincidentally with the surname Austin, bought the company in 2010 and moved it to Austin. According to Flores, they simply heat the beeswax and then use high-pressure filtration to remove impurities. This preserves its natural color and scent, which they believe is part of the beauty of their candles. “From batch to batch, they can be different colors and smells – like different wines – because bees pollinate different things,” said the Austin native. So one batch may have a hint of almonds, while others may smell of watermelons, berries or sage. But no matter what the bees have been pollinating, she said, the candles always have a natural, subtle honey scent. For more tips on how to improve the health of your home, check out Efficient AC, Electric & Plumbing’s previous posts on indoor air quality.